I am an Australian author/freelance writer living in Far North Queensland. I own two unruly dogs and recently moved the 130 year old Cairns Rugby Union Club to the family farm. I call this monster The RUC and figure I’ll probably spend the rest of my life trying to renovate it. My favourite pastime is writing and I’ve won over a dozen national and international writing awards, the latest being shortlisted (top three) in the prestigious 2016 Ruth Rendell Short Story award which was judged by the wonderful and talented Lynda La Plante. You can read excerpts of the novels listed below on my Novel Excerpts Page. The Everything Theory – which took out an Interactive Press Publishing award in 2009. One to read if you love ancient technology and scientific conspiracy. 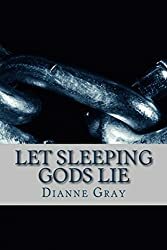 Let Sleeping Gods Lie – which took out an Interactive Press Publishing award in 2007. Set in the cane fields of Far North Queensland. Wolf Pear – Also set in the cane fields of Far North Queensland. One for those who love a psychic detective v. serial killer thriller. 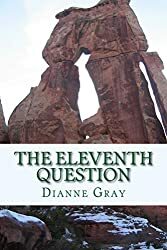 The Eleventh Question – definitely one to read if you’re into philosophy. My book Manslaughter and other Tears is a collection of my award winning short stories. I’ve included samples on this page. For more information I have a LULU author page (where you can find hard copies of my books) and an Amazon author page. I’ve recently been making book trailers. Check them out if you have a minute and let me know what you think. The following links will take you to more of my trailers on YouTube. I also take videos of the sugar cane harvesting in my area so feel free to have a sneaky peek around my YouTube channel! If you need help with your writing or are looking for a ghost writer or beta reader I’d be only too happy to help. Just leave a comment below and I’ll get back to you! Thank you, Ashley. The humour in your blogs is brilliant! Thanks Dianne for following my blog. I’m so glad to have found your blog with such promise for good writing tips. By the way, what do you mean by “a new-age Rottweiler?” Just curious. Thank you so much for liking my new post, Down Under in Amed. Really appreciate it. My pleasure, Jen. Looking forward to reading your blogs! Hello, Dianne! Thanks for coming to my blog, and I’m thrilled to have read yours. I loved your most recent entry and I’m looking forward to hearing from you again! Thanks for the visit Dianne. Great to hear from down under! I appreciate you following my blog. I look forward to checking out your stuff too. Sorry I can’t help you with the Dog Whisperer thing, I have only mastered the art of shouting! Hello there! I write to you from Medford in Southern Oregon. Thanks for the like and the follow! I wish you the best! Yeah, that’s intense. My record low is a measly 11 degrees. Presently, it’s two weeks into Summer with the seasonal weather just beginning to show itself. My goal for the blog was to write everyday for a year. My most intense and (in my opinion) pertinent posts have been written. My intent is to eventually turn this into a devotional. My anniversary is the seventeenth! I plan on posting once a week while I go back and edit my preceding posts with the devotional in mind. I really appreciate your interest and look forward to talking more in the future! Blessings to you. Hello! Thank you for following my blog. Looking forward to reading more of yours very interesting! Have a great weekend! Wow. A crocodile farm and “subzero” weather. Australia sounds so neat. Do you have much of a fly problem in the summer? Thanks for finding my blog and subscribing. Can’t wait to see more of your posts. Regards. Hi Sandra – yes a crocodile farm in the tropics and now sub-zero further south – Australia is a very big place 🙂 Looking forward to reading more of your blogs. Best of luck with the contest! Thanks for the follow! We writers need to stick together, right? Thanks so much for stopping by my blog :). Still having issues with WP and posting my comments, but i am hoping you get this. Hey Boomiebol – Your writing is beautiful. Thanks so much for stopping past my blog! Thanks for following my blog ! I really appreciate that. Have a great day ! Thank you so much for visiting, liking and following my blog. I look forward to reading your posts as well! Hi, Dianne! Thank you so much for liking my book review of Redwall and following my blog! I don’t have that much experience with book reviews yet, and I also wish to become a novelist like yourself. Best of luck to both of us in our future writing endeavors, whatever they may be! Thanks for the follow. You have some excellent advice on your blog. Thanks and keep the faith. Cheers. Thank you – and good luck with your writing! Thanks, Ben! I come from a family of six children, I’m sure we were a handful, but I couldn’t imagine my life without my lovely siblings! That is very nice of you 🙂 Thank you so much! Thank you for following my blog! I look forward to getting updates from yours! My pleasure – I love your blog! Diane, A great pleasure to add my name to the many who, like me, have come to this page to thank you for following a blog, in this case Learning from Dogs. I keep using, perhaps overusing, the word ‘appreciation’ with regard to the many who chose to follow my scribblings. Perhaps a more gutsy and no less truthful way of describing my delight to all my readers and followers is that without you, and them, I would have stopped the blog ages ago. As it happens, tomorrow (JUly 15th) Learning from Dogs will have been running for three years! Diane, that sounds like a great story about Sabre; a guest post from you would be terrific! Can I tempt you? Absolutely – let me know what I need to do. Hi, thanks so much for following me! I’m looking forward to reading your blog. Thank you. I’m relatively new at this and, like you I dismissed blogging for a long time. But I think I’m getting into it now and I’m thoroughly enjoying reading people’s blogs – it’s like picking up snapshots of lives I would never have known about if I hadn’t started this. I’m looking forward to reading more of your reviews – and best of luck with your journalism! Thank you! I can’t believe it’s so hot where you are (I’m very jealous). Where I am (southern Australia) we’ve had the coldest winter since the 60’s! Thanks for following my blog. I’m also in Australia. Congratulations on your success. Look forward to receiving your guest post – have no doubt it will be lovely. Thank you. They are VERY specail and don’t they know it 🙂 Thank you for taking a look at my blog! Thanks so much for following my blog. I’m following yours too. Thank you very much for following my blog! I hope to continue on this part while making connection with true friends around the globe. Thanks!! Thanks Gail – the Optimist and Pessimist POV is excellent! Thank you for the follow, Dianne! I look forward to seeing more of your fine posts. Cheers. OMG! Congratulations! I’ve just popped the champagne cork – you are the award queen!!!! I’m still unsure of what I need to do (call me stoopid) but I’m SO excited!!! LOL Award Queen? That’s awesome – I’m so using that! Okay, your section is the “Blog Tag”. The rules are right beneath it. Pretty much all you need to do is paste the rules in your post and then answer the 11 questions. Then pick 11 others to tag (or however many you want to) and you can either have them answer those questions, or make up your own 11 questions for them to answer. Then comment on their blog somewhere that you’ve tagged them and where to find your post so they can find the rules and questions. Does that make sense? Glad you’re excited! 😀 It was fun. Thank you so much for following my blog. Glad to meet you. Thank you for following my http://koruknits.wordpress.com blog Do you knit or do handcrafts as well as writing?? Hi Lynley, I used to knit when the children were younger, but haven’t for a long time (but wish I had the time to). My mother knits and crochets and I thought I may be able to pick up some lovely ideas and patterns from you. I’ve just followed you on ordinary goodness as well. Thanks for joining up to follow my other blog. Thanks from Up Here for following from Down Under! Ah.. I just realized that my last post (as Quebekop) didn’t have the right link to my blog, so don’t approve the previous one (Thanks from Up Here for following from Down Under!) or this one and I’ll repost the original. Phew. Thanks from Up Here for following me from Down Under! Thank you for the follow. 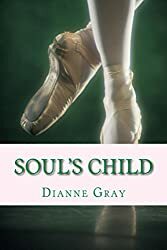 I’m adding Soul’s Child to my reading list! Thank you! Hope you enjoy it (and let me know your thoughts). Hahaha – Yes I’m following! So glad you like it! Hahah – love the ‘mere mortals’ line 🙂 Can I copy and paste that into my CV? HI Dianne! Thank you for dropping by and following me! Your kind words of encouragement will be kept close at heart! I’m so glad you’re reading my posts and I’ll be following yours – YAY! G’day, Dianne, and thanks for following “Swords, Specters, & Stuff.” Enjoy! Nice blog, Dianne! Thanks for stopping by onewritelife; I hope you’ll be back often. Keep writing and living like each moment counts! Hi, Dianne — thanks so much for the like and follow for Livritome. I’m enjoying looking through your blog as well. Good luck with finding your dog whisperer. L.
Thank you – I’m looking forward to reading more of your blog. Thank you, Dianne, for reading and following my blog. I’m enjoying reading your posts and will be back for more! Glad to have you following my blog. I did not really think people would be all that interested in poetry, but since I started this class and posting these poems, I suddenly have gained a lot more followers. Thank you!! Hi there… I have nominated you for the inspiring blogger award cause your blog is pretty interesting. Thank you for following my blog – I am looking forward to exploring your writing. Your brief bio is so intriguing. Hello Diane! Published you are, how lovely. Thank you for following my blog. I’m honored. Carry on! Hey. Thanks for stopping by and following my blog. Yours looks interesting as well – I liked your discussion on antimatter, even if physics typically escapes me. Thank you so much for following my blog! I’m new here so I’m still trying to figure out everything. Look forward to reading your blog! Hi Dianne, Thank you for following my blog. I’m looking forward to reading your books! Thank you for following my blog! I hope you enjoy it as I will enjoy yours! I look forward to reading yours as well! A nomination for the Reader Appreciation Award! Don’t know how long I’ll be here today (going in and out of the webosphere) but I’m hoping to catch up on some of your blogs I’ve missed! Hi Dianne, thanks for stopping by and visiting with Kate. I look forward to reading more of your blogs. You have a great site. Crocodile farm – wow, you just don’t hear that everyday! Thanks for the blog follow! PS I love the name of your post! The pleasure is mine, dianne! Keep up the good work! I love your Shepherd’s name–Sabre. (I should add that to my name noteback.) German Shepherds have always been my favorite breed, btw, though my last two dogs were crosses from the SPCA. Hi! I nominated you for a Liebster award, please check out my post! Thank you so much, Sophie! This is very, very nice of you. I’ve got a couple I need to go through first so I won’t be responding straight away (have a look at my latest post:) ). I’m going over to your blog now to take a look! Bwahaha, a ‘sensitive, new-age Rottweiler’ that rolls it’s own hemp, and doesn’t crap on the flowerbeds. I can’t wait to hear more about both of you. G’day Oz. Hahaha – glad you enjoyed that! Thank you so much for liking my poem. Your blog is wonderful…but then I wouldn’t expect anything less from a fellow dog lover! Hi Dianne, Just wanted to say thanks again for visiting my blog and for your thoughtful comments. I nominated you for the One Lovely Blog Award. Find out more here! Oh – wow – only just saw this 🙂 So excited!!!!! Thank you very much for following my blog. Charmed and inspired. Just want to congratulate you on winning the Book of the Year award for “Soul Child.” I also want to thank you for liking “Murder on the Church Steps” at Paper, Mud and Me. Again, CONGRATULATIONS!!! Love your writing! Looking back through the recent comments…looks like you’re receiving lots of awards. They’re nice, but time consuming. Anyway, thanks for stopping by my blog and congrats on your Book of the Year award!! Knowing such a nice author is an absolute privilege. Nothing like a great read. Glad I found your blog. That is such an honor. Congratulations on your award. It’s wonderful! On another topic, I wonder if you ever had a great dane called Paris? Hello D! 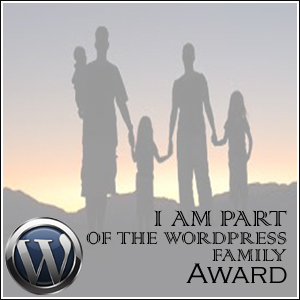 It is my pleasure to nominate you for the One Lovely Blog Award. I hope it’s not one too many. 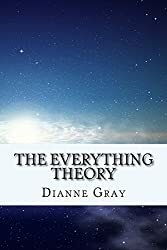 I just finished The Everything Theory. As a writer, I’m ashamed to admit I am at a loss for words. What a fantastic story!! I have never seen a picture of you, but now I can only imagine you with a gigantic cranium to store all of those ideas and plot lines. The time you spent researching that book must have been extensive. Wow…..that’s all I can come up with. That, and I’ll be heading to Amazon to buy the next book on the list!! You are amazing!! Oh, Susan – I commented on this, but commented to myself instead of you! Do’h! Just downloaded Let Sleeping Gods Lie….can’t wait!! It’s funny. I swear a blue streak in my everyday life (depending on how impassioned I am about the given topic, and of course never in a professional setting!) but I really go out of my way to abstain from using them in my writing. Every so often I might drop an “arse” or “shite” but really, I make a concerted effort to keep it clean. At first it was because I didn’t want to alienate anyone, and then it turned into a bit of a fun game (I wanted to see what other turns of phrase I could use in lieu of [insert swear here]). Now it’s pretty much second nature! I like the game of finding other words to replace the swear ones. I think that would be great to add to the curriculum at schools! Could you imagine kids getting home and saying to their parents, “we learned a whole lot of new words today to replace swear words” – even though my kids are grown up now, I think that would have made me happy as a parent. Dianne, I cancelled my wordpress site. Long story. Boring. Do you have an email you are willing to share? For perhaps the 400th time, I have nominated you for the Beautiful blogger award. You inspire me every day to keep at my passion. Thank you. Glad you liked my interview with John Dolan — he’s a wonderful scoundrel (last known whereabouts was Amsterdam). *hugs* …. I just wanted to say … that I hope you had a grand Christmas Dianne. I know it’s 2013 now, but I just nominated you for Blog of the Year 2012 – I hope you will accept – do pop over and have a look at my blog for the rules. Happy new Year!! Lulu and Harry sound adorable – I watch the dog whisperer and I think we must be very bad ‘parents’ sometimes because our German Shepherd is such a handful! So many awards, so little time!! I have nominated you for the Very Inspiring Blogger Award. You truly do make me want to continue my literary journey!! 😀 My post will go up shortly. Woot woot! Thank you, Susan! Hey, just wanted to let you know I’ve nominated you for a Liebster Award, you deserve it. Hi Dianne! Just wanted to pop by and say hi, and thank you for your presence on my blog lately. 😀 Really appreciate it! Thanks Maryanne. I’m not sure what happened to my post. I published it and then it disappeared and so I just published it again. You’re not sounding like a mommy! 😉 You’re right – but my eyes aren’t really that bad and it’s probably best I stay away from computers for a few days anyway to give them a rest. I’ve got prescription sunglasses that are fantastic for driving and I’m actually wearing those at the moment. Awww – I love being ‘super cool’! Have you written about your experiences on the croc farm? Sounds like a story waiting to happen… Though perhaps an account of the real thing might be even better! LOL Di I don’t think you need any of MY writing advice…I probably need some of yours!!! I feel quite ashamed that you write all these lovely comments on my blog, Dianne, but I’ve never read your books. I just read the Profound Absurdities review and am determined to hunt out The Eleventh Question. Excellent. I can’t wait to read more of your writings and getting to know you. You have an impressive list of accomplishments! How inspiring! Glad to be here Dianne! Hi there, started to follow your blog. 🙂 It looks interesting. Hi Dianne, just noticed you’ve started to follow my blog. Thanks a lot for your appreciation. Is that your own photo above? I wish there was a cattle in there too! Dianne, I’ve missed your posts…was it something I said? All is well. Wishing you and family a lovely holiday season… My very best. Hey Dianne. You haven’t showed up in my Reader for a while, I hope everything is well with you. I miss your blog posts. I didn’t always comment but I always read. Can’t offer you sunshine as I’m in cold, grey London but I can offer a warm virtual hug and lots of love! Like rilzy, just missing you, Dianne. Is everything good in your world? Are you writing? Haven’t seen a blog post lately… And, that’s perfectly okay, if so…just keep writing. Just haven’t seen you in my blogsphere for awhile and just a tad worried. Blessings during the holiday season and beyond. HAPPY HOLIDAYS. Hi Dianne, just popping in to say Happy New Year and all that. And that I, like other commenters, miss your posts. But I know you’re writing, so good luck with that too. Look forward to your return. I found you via Today’s Author and liked what I read 🙂 I’m always interested in finding new-to-me bloggers and writers who live in Australia! Will be thinking of you and praying for you as Cyclone Ita makes landfall tonight. Stay safe Dianne. Dianne. 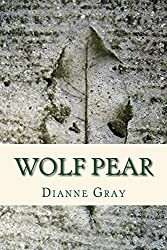 I wanted to let you know I read Wolf Pear and loved it. Put a review on Amazon and Goodreads. If you would like me to add the review at other places just let me know. That’s quite a CV, isn’t it? Thanks for dropping in on my blog. you’re always welcome there. Thanks Dianne and it means a lot to me. I’m looking forward to following your great blog! Came across your blog! Look forward to reading more!